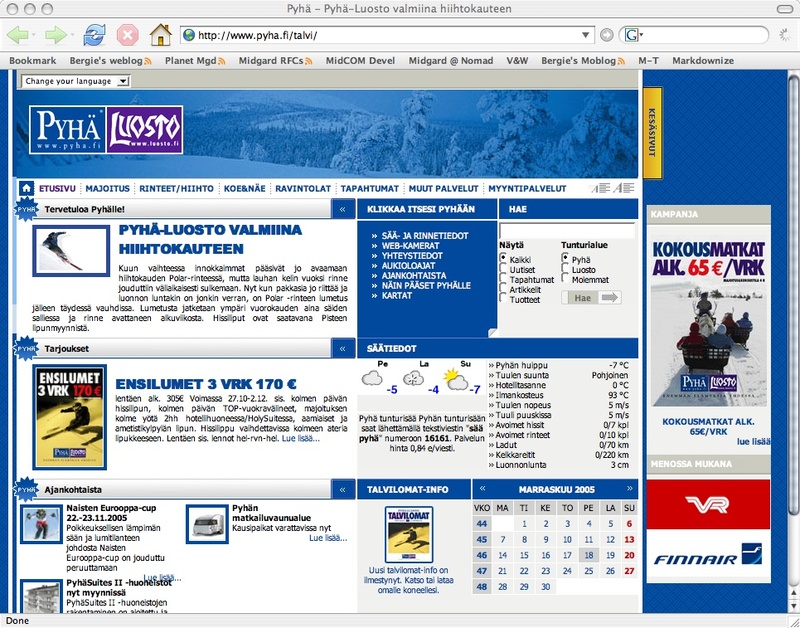 Pyhä and Luosto, two skiing centers in Lapland are now powered by Midgard CMS. 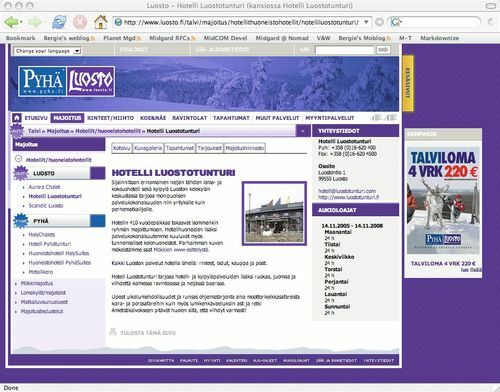 Their websites are portals containing both general travel information and the sub-sites of hundreds of local hotels, restaurants and other businesses. 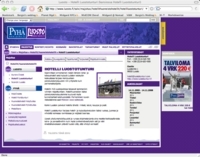 The portals were designed by advertisement agency Linnunrata and mainly built by Arttu Manninen from Protie. The Midgardization was supervised by Nemein. Hosting for the portals is provided by Nebula’s Midgard Webhotel service. Luckily the situation wasn’t quite that bad in this project, and the portal is actually up and running. Some performance optimization still remains to be done, including an upgrade to MySQL 4 with its query cache. 20 December 2004. 1 minute read.